A great new adventure from the creators of Ice Age is now available on Blu-ray Combo Pack, Deluxe Edition, and DVD from Twentieth Century Fox Home Entertainment. Epic, directed by Chris Wedge (Ice Age Franchise) featuring an amazing voice cast including Colin Farrell, Amanda Seyfriend, Christoph Waltz, Jason Sudeikis, Steven Tyler, Pitbull, and Beyonce. Teenager (Amanda Seyfriend) is transported to a magical world and recruited by nature spirit, Queen Tara (BeyonceKnowles), to help the “Leafmen” save their existence –and ours- from evil warriors. This is a fast-paced thrill-ride, with astonishing animation and all-star voice cast that includes Conlin Farrell, Oscar winner Christoph Waltz and Steven Tyler! The Epic Blu-ray combo-pack includes Blu-ray, DVD and Digital HD and comes complete with exclusives that willhave kids both engaged and learning about the environment just before heading back to school. With special features including an overview of what life as a person two inches tall would be like, to discovering all of the different bugs from the film, Epic is the perfect gift for families to enjoy from summer to the holidays! Mub & Grub Intro- Join Mub and Grub for EPIC tour through the special features of this Blu-ray! Birds, Bugs and Slug: Forest Explorer- Journey into the forest to meet the real-life counterparts of the EPIC world! Bugs of Camouflage- Join us to find out how bugs use their environment to hide right under our noses, just like Leafmen! The Epic Life At Two Inches Tall-How would your life be different if you were only two inches? Aside from being small, there are some surprising and amazing benefits! Mysteries of Moonhaven Revealed- Meet the incredible talented filmmakers, artists, and animators at Blue Sky, and learn all about the making of EPIC! Epic Coloring & Storybook Builder App- Color your own EPIC story with exclusive pages on your iOS or Android devices. Then become the story teller by recording your own voice and share on your television. Rot Rocks- Mandrake might be the bad guy, but his world of rot benefits ours in a number of ways, discover how! Epic Coloring & Storybook Builder App- Color your own EPIC story with exclusive pages on your iOS or Android devices. Then become the story teller by recording your won voice and share on your television. Miss M and I were invited to spend a few hours at Fox Studios for an exclusive event with Ken the Bug guy! Ken is featured in the bonus feature “Bugs of Camouflage”. Ken the Bug Guy is the largest seller of “bug” in the United States- if not the world- Ken the Bug Guy has anywhere between 5,000-15,000 exotic invertebrates at any given time. Nim Galuu is not thrilled with the Vinegar Roon on him. 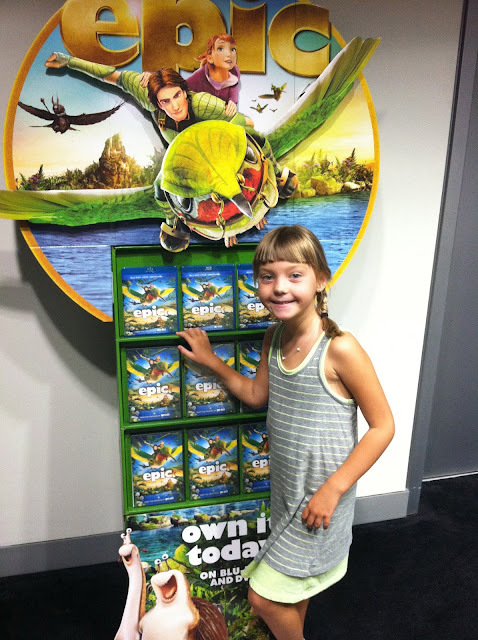 Thanks to Fox Studios and Fox Home Insiders, Miss M and I had a great (although a bit scary) time with the bugs to celebrate the release of EPIC on Blu-Ray/DVD on August 20, 2013. Meghan from Kiddie Concierge is a single mom who's goal is to get her daughter unplugged from the TV and experience life as best as she can, in style. Follow her journey through parenthood on Facebook, Twitter, and Instagram. DISCLAIMER: This is not a sponsored post. 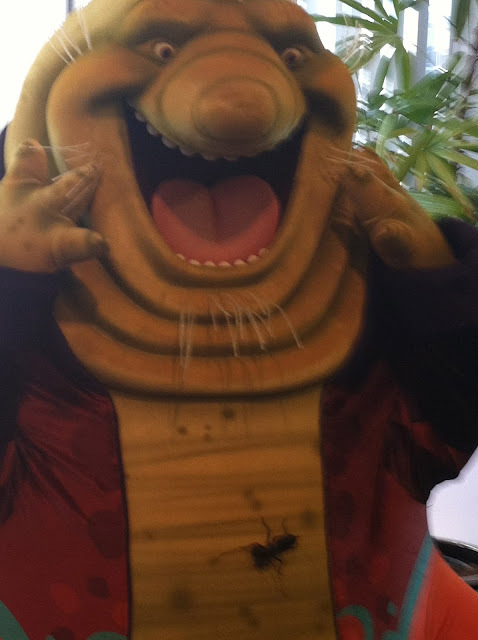 We were invited to attend a media event to celebrate the release of EPIC and meet some of the bugs that inspired the movie. All thoughts are my own. Do not use any pictures without permission.